governorship aspirants in Osun State as his subjects. 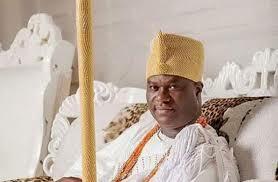 The Lowa Adimula of Ife, High Chief Adekola Adeleye, who said he is the Ooni's second in order "to one side", clarified that the Ooni can't be seen to take sides with any of the competitors. There is a polling unit by his palace, but he did not come out to vote . “It’s not good for the Ooni to vote for any candidate. If he must vote, it will be for all the candidates because he’s the father of all, but that’s not possible, so kingmakers advised him not to vote. “He cannot take sides. All the candidates are Ooni’s subjects and so it’s better for a father to be neutral when his children are in a contest,” Adeleye told The Nation. Ooni’s traditional Aide De Camp said the royal father only blessed all the candidates, wished them well and prayed for a peaceful election.